which is good, and holy, and true? For we are all made of water. For 40,000 years, people all over the world have been using sound to facilitate healing. Because sound is such a subtle energy, it can permeate deeply into the many layers of a person’s being. It can create harmony, provide incredible nourishment, and catalyze huge shifts on all levels. Since ancient times, and throughout the ages, people and cultures around the globe have recognized the healing power of sound. And modern science is now validating this wisdom of the ancients, showing that the physical world is actually made of vibrating energy. In other words, we are vibrational beings. Just as sound is vibration. This rich tradition of sound healing is now being brought back to the forefront of alternative methods of healing. Powerful and effective, it provides a pleasurable and simple way to easily restore balance. As the great American prophet Edgar Cayce foresaw, “The medicine of the future is sound.” I am beyond excited to see the unfoldment of these modern discoveries in this ancient realm of sound healing. In my experience as a sound healing practitioner, I have experienced this sacred art form as nothing less than miraculous. And I feel so blessed to continually delve deeper and deeper into this incredible work. In my sound healing practice, I faciliate Song Ceremonies for people. We can get together to have a session in person if we are in the same geographical area. If not, we can do the session via Skype or phone. After our session I will e-mail you an mp3 of your song so that you can listen to it anytime you want to. Many people have told me that they have continued to receive great benefits by listening to the song again and again over time. I’m writing to you from a coffee shop in my hometown of Sheboygan, Wisconsin, looking up every so often to watch the snow fall. It has been three weeks since I returned to the States from India, and to say that I am still adjusting would be an understatement. There are a million thoughts running through my mind every moment. Realizations, insights, clarity in a thousand forms. And also many questions. So much is still unknown, so much yet to be seen. The story continues to unfold, and even though I can’t know what will happen, I can do my best to be present for the journey and to surrender to it. Right now I am in the process of taking care of lots of practicalities, organizing things, writing a lot, playing my guitar, singing, spending time with my mom, and enjoying Lake Michigan. I have been walking on the beach, gazing out at her iridescent waters, and watching wave, after wave, after wave return to shore. It’s so magical to watch as countless sparkling snowflakes fall into her waters, and I am thanking her for all that she has given to me so selflessly throughout my life, from childhood to present day. I have been feeling extremely sensitive and tender, and also stronger, more fearless, and more capable than ever before. Unstoppable, even. And the lucidity of what I am seeing, hearing, and experiencing is so stunningly clear, it’s as if the barrier to the world around me has become so transparent that it’s almost non-existent. I love feeling so fully awake to my life. I’m remembering a lot of things. I’m writing about them. I’m piecing together the parts of my life that have created who I am now, this woman who is sitting here in this coffee shop, writing this post. I’m noticing the patterns, the characters, the storyline, and the unfathomable, miraculous interconnectedness of it all. And through this process, I’m integrating my past and preparing myself on all levels so that I can move into this next chapter in the best way possible. Going back to the beginning of my India story, I remind myself that this journey began in November when I saw Amma in Detroit. I smile in amazement as I recall the blissful delight on her face when I handed her a piece of paper asking her to remove any vasanas (negative tendencies) that were blocking my music and abundance. And I can still feel the warmth and the love of her divine embrace. I look back with absolute AWE to recall how in that moment I had no idea that just one month later I would be flying across the world, carried on the wings of ten thousand angels, to the magical land of INDIA. I received SO much love and support from friends and family around the world, still so much more than I can comprehend as I sit here writing this. I embarked upon a pilgrimage, and this symbolic space that I stepped into has changed everything. I can feel the potency of all that happened there, and I can see the profound transformation that has occurred. As I look back through what I experienced in India, it’s like looking through a once blurry lens that has become clearer now that I’m back in the U.S. and can better see the wholeness of it. I was given an incredible opportunity to purify myself in order to prepare for this next chapter, in which I share my love with the world through my music. The Universe gives us very specific experiences so that we can release old beliefs, stored emotions, and other energies that are not for our highest good and evolution. And as I look back at my two months in India, I can see very clearly how many of the situations that Nature created for me were truly for this very purpose. Of course, I still don’t understand it all, but at least I can see some of the symbols and lessons, and have a bit more clarity around what I experienced. Because all of this happened immediately after I asked Amma to remove my vasanas, it’s clear to me that this is exactly what she has done. And so my music and abundance are now flowing freely. I am experiencing this in many different ways. I can feel the difference when I play the guitar, and hear the difference when I sing. I feel lighter and freer, and my trust is much stronger. It’s clear that this story is now about MUSIC, and it’s about WEALTH. And when I say wealth, I truly mean wealth on all levels. I am ready to experience the deep fulfillment of living my dharma 100%, co-creating and sharing with the world amazing music that inspires, uplifts, and empowers people. And I am also ready to experience unbounded material wealth. I am ready to fly freely about this gorgeous planet, exploring and delighting in her magical lands, her delicious foods, and her diverse cultures and peoples. I am ready to be a bountiful, generous channel of overflowing wealth and abundance. I am ready to have the financial resources to be able to give generously to the people and causes that I want to support in this way. And I am excited to empower people to live their dreams by financially supporting their entrepreneurial, artistic, and other creative projects. I am ready for all of this, and so much more. Over the course of the past nine months, I have been seeing a lot of signs and experiencing a lot of synchronicities that are pointing VERY strongly to Los Angeles (specifically Venice and Santa Monica) and also possibly to Maui. It looks like Los Angeles will be the setting for this next chapter, and I am so excited!!! I’m looking forward to connecting with the right producer, musicians, recording studio, and so forth, and also to being near the beach and living a very healthy lifestyle with delicious food, yoga, and so forth. 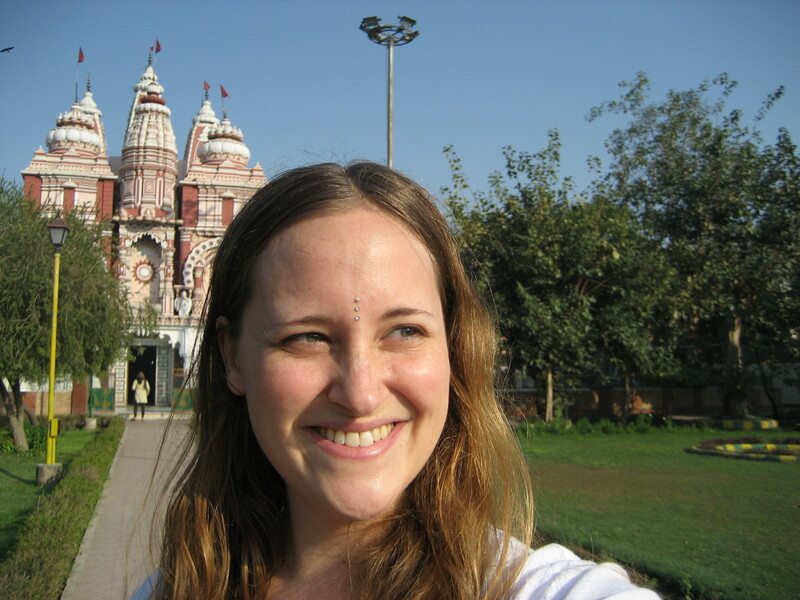 So, back to India…there is still so much more that I want to share with you about my time in the Motherland. I want to tell you everything! I want to tell you about all of the warm and generous people whom I encountered, and share with you all of the ways in which my life has been SO profoundly affected by all that I learned and experienced there. And yet, I’m quite aware that all I can do is express in words as best I can some of this, and trust that it is enough. So let’s go back a few weeks to when I first returned to the U.S. in complete BLISS. I had an incredible 48-hour journey back to the States, which included a 14-hour layover in Frankfurt, a most blessed experience. When I saw that my layover was going to be in Germany, I knew there was a huge significance to this, as my ancestry is over 50% German, and I had not yet stepped foot on German soil. I had just spent two months connecting with the roots of many aspects of my spiritual life, and now here was a chance to connect with the roots of my family lineage the day before my 31st birthday. I arrived in Frankfurt in the evening, found a Christian chapel in the airport, laid out my yoga mat, practiced some asanas, and then curled up under a blanket and slept for a few hours. I smiled in acknowledgement of this connection with my Christian upbringing. The next morning, I woke up very early, practiced a few asanas, packed up my bags, and headed outside. I found a bit of lawn right outside airport, and when I set foot on this patch of green grass I fell to my knees, weeping. I kissed the cold, wet Earth and could suddenly feel my ancestors’ presence very strongly. I could see them smiling and hear them clapping in deep, sincere approval. They were communicating very clearly to me how incredibly proud of me they are, and letting me know that they are in full support of me in every moment. It was truly an extraordinary experience, and reminded me of the night at the Neem Karoli Baba ashram in Vrindavan when I had a similar experience. That night I got to see and feel the infinite love and support of some of the great mahatmas who are here with me in a similar way. After awhile, I stood up and went over to meet a few of the gorgeous nearby trees. After some hugs and more tears, I headed back into the airport to board the next leg of my flight, which took me to O’Hare in Chicago, through customs, and then onto another flight to Cedar Rapids, Iowa. In Cedar Rapids, my darling friend Bea met me at the airport and drove me through the snowy cornfields of Iowa, to Fairfield. By the time we arrived at my friend Jennifer’s house, where my car was parked, it was getting late and I was beyond exhausted. At this point, I had been traveling for two full days, and was absolutely delirious. I literally felt like I was floating about three inches above the ground. And when I got into my car and stepped on the gas, it didn’t move because it was sitting in too much snow. So we went into the house to find Jennifer and her husband Doug, who helped push the car out of the snow. And off I went to my friend Eric’s house, where I took perhaps the most satisfying shower of my entire life and collapsed into a deep sleep. When I awoke the next day, I was amazed to be waking up in cold, snowy Fairfield, and to realize that it was my birthday! The entire day was absolutely incredible…so full of joy, love, friends, family, stories, delicious food, yoga, a walk around the reservoir in the sunshine, and a thousand other miracles large and small. I am so happy to be back in the U.S… I flew from India on Thursday afternoon and Mother India sent me off in the most BLISSFUL way I could have ever imagined. I made it back to Fairfield on Friday night, the eve of my 31st birthday. My birthday yesterday was filled with SO MUCH love and bliss ~ it is wonderful beyond wonderful to be in Fairfield surrounded by so many loved ones, celebrating life and feeling so full and grateful and blessed and excited about EVERYTHING that lies before me. 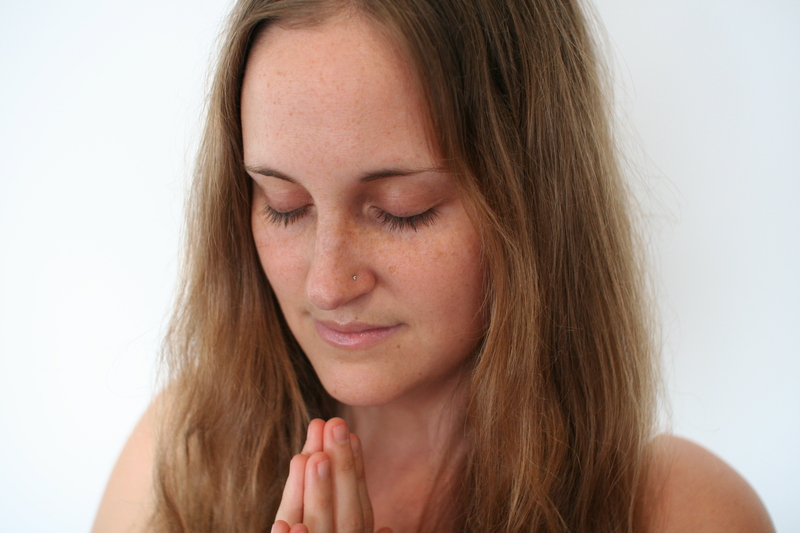 It felt amazing to begin this new post-India chapter in such a beautiful, potent way. All good things are happening, and I feel SO happy to be here on this glorious planet with all of YOU!!!!! I have never felt so deeply at home here on Earth ~ everywhere I am, here I am, and here is home, and I am home, and I am grateful to be here, wherever here may be because this is where my heart is. Thank you SO MUCH for all of your love and prayers and for your continual support on so many levels throughout this life journey ~ thank you for being here and for co-creating a more and more beautiful world with me. So now, going back in time even a bit further, I want to tell you about my last two days in India. I had originally planned to fly back to the States on Monday night (February 25th). I was listed to fly standby and thought there’d be no problem getting on the flight, but the plane filled up without me, and so it became clear that Mother India wasn’t finished with me quite yet. That night was a little rough, even though of course (on some level) I knew that Nature was orchestrating everything perfectly as always. 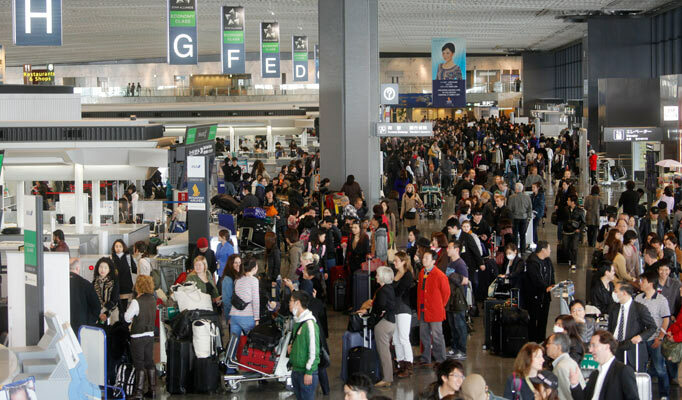 But I had felt SO excited to begin my journey back to the States that when I didn’t get on the flight it felt as if I had hit a brick wall, face first, running at top speed. And it was late at night, and there were men with guns and a security policy that was very foreign to me. In short, I wasn’t sure they were going to let me leave the Delhi airport! As soon as he said it, I softened, melted. He was right. “This is not a problem,” his words echoed through my mind, this time in my own voice. Wow. Brilliant. Here was gift number one of the MANY that Mother India had in store for me now that I was going to be staying a bit longer. India has a very different definition of the word “problem” than we do in the West, and I really value this shift this has occurred in my perception. After all, who am I to question Nature’s perfect wisdom and divine timing? 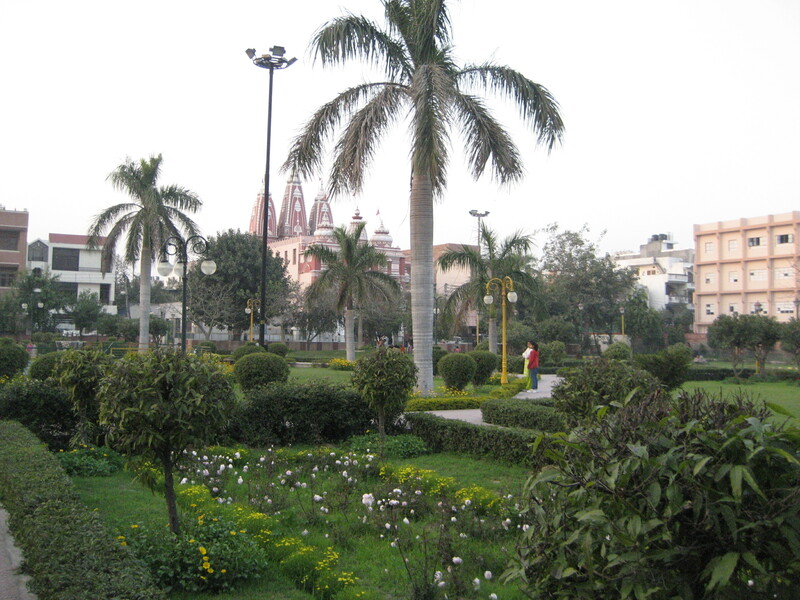 When I awoke the next morning, I booked a “real” flight leaving on Thursday afternoon, which meant that I would have two more full days in Delhi before I would (really this time!) fly back to the States. And because of the way things had unfolded, these last two days in India became “bonus days.” Because I had already expected to be on my way back to the U.S., over the course of these next two days every sip of coconut water, every photo, every interaction, and every last sight of India was EXTRA. Positively overflowing with blessings, these two days turned out to be the most extraordinary, glorious gift I could have ever dreamed of receiving from Mother India before I said goodbye to her for now. I discovered a gem of a temple, and also spent quite a bit of time in the gorgeous, pristine, flower-filled temple yard behind it. There were children running and laughing, women enjoying each other’s company, old men playing cards, sun shining, temple bells ringing, palm trees beaming…it was glorious. And on Wednesday, my last full day in Delhi, I visited a temple called Swaminarayan Akshardham, which was SUCH an AMAZING experience. Every moment felt like a complete affirmation of my soul, and the perfect ending to my pilgrimage. 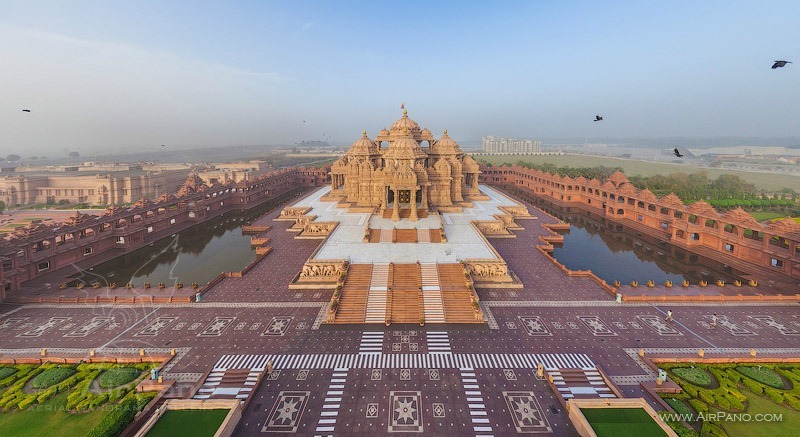 This visit to Akshardham was QUITE the multi-faceted experience. On the temple grounds are various buildings, gardens, and a large fountain in the center, in addition to the actual temple. The complex is enormous and also extremely beautiful. The breeze was warm and the sun was shining as I stood in line waiting to enter the first exhibition, The Hall of Values. This elaborate exhibit consists of about ten different rooms filled with (very!) lifelike robotic beings and dioramas depicting various teaching stories from Swaminarayan’s life. All of this was designed to illustrate his beautiful message about the importance of peace, harmony, humility, service to others, and devotion to God. At the end of the hall was the entrance to the boat ride, reminiscent of something one would experience at Disney World! With more figures, sets, and scenes on either side of the water through which our peacock-shaped boat was journeying, we were taken on a most delightful journey through 10,000 years of India’s extremely rich culture and history. So many great beings have come from India. So many mahatmas, saints, yogis, sadhus… and also great musicians, artists, political leaders, scientists, doctors, astrologers, and so forth. It’s really quite mind-blowing to realize what a great nation India is, and how rich is her ancient knowledge and wisdom, much of which comes directly from the Vedas (holy texts of India). And THEN we were directed into a huge IMAX theater where we watched a film called “Neelkanth Yatra,” recounting the seven-year pilgrimage that Swaminarayan made as a young boy and teenager. It was SO incredibly beautiful, and when the film ended I sat there in tears. It felt like such an affirmation to me because certain aspects of his life and journey resonated so deeply with my own. Delightedly, I found a place to sit in the massive multi-layered seating area surrounding the fountain, overlooking the temple, which was just so stunningly gorgeous all lit up against the night sky. And the Delhi air was absolutely perfect that night. It felt so fresh and soft and warm as it kissed my face and gently played with the white scarf I was wearing around my head. The feeling in the air was incredible. As I sat there looking around at the thousands of beautiful Indian faces, women in brightly colored saris, and children playing, I found myself in tears. What a majestic, regal, rich land. I was so deeply touched by the beauty, the deep spiritual potency, the reverence, and the richness of it all. And my heart was so FULL with gratitude for all that Mother India had given to me. My entire body was lit up with the JOY of being ALIVE! Suddenly I could see and feel the utter perfection of everything that I had experienced during my time there, and the perfection of everything, everywhere, always. And so I wept with joy as I clapped along with the aarti song that was playing loudly and beautifully over the loudspeaker, watching the pujari as he circled the plate of fire around and around through the air before the enormous bronze murthi of Neelkanth. After the aarti was the musical fountain show, which was absolutely magical. While gorgeous Indian classical music played over the loudspeaker, the fountain danced. In one particularly enchanting moment, thin columns of water went up into the air, and I watched in awe as the multitude of drops fell back into the pool, shimmering and sparkling like diamonds. And all the while, the water was lit up with lights that continually changed colors throughout the show. It was just extraordinary, and it felt like Mother India’s parting gift to me, a magnificent display of the glory of Bharat, and a joyous celebration and culmination of the two months that I had spent upon her holy soils. When the show ended, I sat there speechless, soaking in the profound joy and awe that I was feeling. Eventually, I stood up and began to walk towards the temple, and as I did, I met an amazing Indian man named G.J. Patel. He took me over to a beautiful golden statue of Swaminarayan, and another man handed me a copper vessel of water. He told me to make a wish and then pour the water over the statue while continually repeating Swaminarayan’s name. So I made my wish, and as I performed this beautiful ritual I was (again) in tears. Then the man handed me a second vessel of water and said, “This one is for your family.” This was just so, so touching that I began to cry even harder, and again repeated Swaminarayan’s name as I poured this water over the statue, in honor of my amazing family. At this point I still hadn’t even been inside the actual temple yet. So my new friend G.J. accompanied me as I walked toward the entrance. And as we walked, he told me that the lake surrounding the temple is comprised of water from 151 different holy lakes and rivers that were visited by Swaminarayan during his lifetime. And around the base of the exterior of the temple are 148 life-sized carved elephants, as well as gorgeous carvings that illustrate many stories from the Vedas. I also learned that for five years, 7,000 artisan carvers and 3,000 volunteers worked to construct this massive (over 86,000 square foot) architectural masterpiece. So intricately carved, so elaborate, so breathtakingly beautiful, the magnificence is way beyond words’ capacity to describe. Only by seeing it can a person even begin to comprehend what 300 million hours of human effort, devoted to God, looks like. After removing my shoes, I approached the temple. I touched my fingers to the steps, and then to my forehead and heart, and walked up SO very reverently. 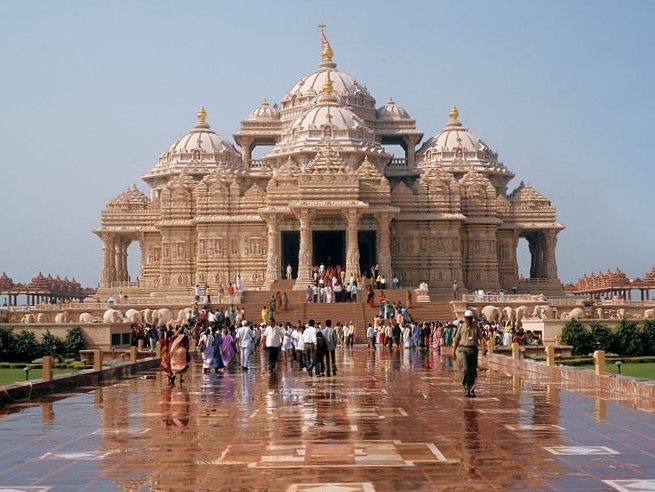 Many people have said that Akshardham is even more impressive than the Taj Mahal. Having not yet visited the Taj Mahal, I am not able to compare them, but I can tell you that when I walked into this temple I was immediately filled with the powerful and holy presence of the space. I inhaled deeply and walked forward toward the enormous golden murthi of a seated Swaminarayan. The space above and all around his murthi was by far the most exquisite, elaborate space of sparkling divinity that I had ever seen. It sparkled like ten million diamonds, and was filled with a most sublime feeling, transcending this mundane world and elevating my Spirit to the realm of the gods. Light pinks, greens and blues, an incredible amount of gold, and far more detail than my mind could possibly comprehend, even if had I stood there for a thousand years. Absolutely incredible. I fell to my knees, forehead pressed to the floor, with my hands in prayer stretching out in front of me. After some time, I stood up and began to walk around the temple. All the while, I was in complete awe of the grandeur, amazed by the amount of work that must have gone into creating something so exquisite, and more befitting of the gods than other I had seen. I walked around to each pair of murthis and thanked all of the gods and goddesses for everything. Shiva and Parvati, Sita and Ram, Radha and Krishna, Lakshmi and Narayan, Hanuman, Ganesha…they all looked at me so knowingly, respectfully, and lovingly. And I bowed with deep reverence to each one, hand pressed firmly to my heart, feeling the blessings of the divine presence of each and every one of them. It was such a sweet farewell, and such perfect closure. 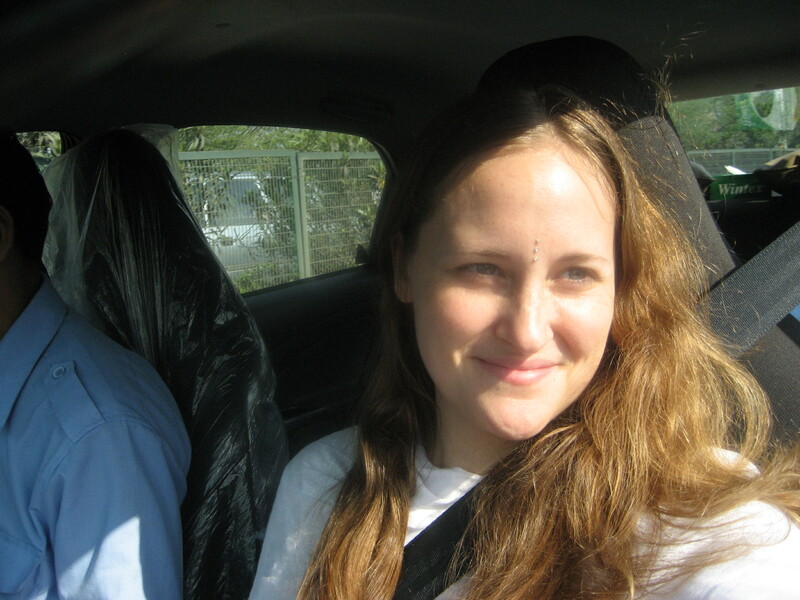 After leaving the temple, I stopped briefly to have some prasadam, and then found a taxi. I was in a state of pure bliss as we drove across the Yamuna River and I watched the white and yellow lights along her banks shining and winking in the night air. And as we drove across the city, I found myself wondering about many things. What kind of man was this Swaminarayan that he had inspired his devotees to create this kind of splendor here upon the Earth? And how can India be such a remarkably special land to birth such great saints, mahatmas, gurus, gods, and goddesses? And how did I gain the good fortune to spend two months in this great land, walking in the footsteps of the gods? I continued to wonder about these and many other things that night as I finished packing and drifted off to sleep. And the next morning, I began my journey home. India is such a magical land. The quality of consciousness is different. The atmosphere is somehow thinner, lighter. Even the plants and trees look different; they seem more fully awake and full of life than their counterparts in most other places. It seems as though the veil that separates this realm from the next somehow almost doesn’t exist in India. What an interesting place, this country where karma burns faster than anywhere else on the planet. And how fascinating to experience a culture where the relative level of existence is so very secondary to the deeper realms. India continually points us within, within, within, to our hearts, to the space of pure consciousness inside of us. She does this in so many ways…through her incomprehensible chaos, her extreme austerity (in India, no matter how much money one has, there is always SOME austerity), her rivers, her multitude of temples and other holy places, her heart-breaking poverty, and also her awe-inspiring richness and glory. Nearly everywhere I went I felt that spirituality was the main focus. Even riding in a taxi with two wealthy Indian businessmen, I was not at all surprised when one of them asked the driver to stop at a temple. Not at all surprised to see this man (dressed in a very nice business suit) jump out of the car, remove his shoes, ring the temple bell, and pay his respects to Lord Hanuman-ji. And a few days later, I witnessed another beautiful illustration of this. I was standing at the counter in a pharmacy, waiting for them to put together some herbal medicines for me, when a man wearing saffron robes walked in the door. The man working immediately stopped what he was doing. Without saying a word, he walked over to the man, bowed, and then bent down to touch his feet (a sign of reverence). I can remember riding on the bus through South India, watching the small villages pass by as I stared out the window. I remember seeing the crumbling buildings, and thinking that these people must be quite poor. And then I would notice a gorgeous temple, brightly colored and beaming with divinity, amidst the otherwise desolate surroundings. And I realized that it was only my perception that was impoverished. Perhaps these people knew a kind of richness far beyond what I had ever known. How ironic that when most people think of India they so frequently immediately think of the poverty. There really is a lot of poverty in the material realm of existence, but on the deeper levels there is so much incredible, incredible wealth. This richness and royalty transcends anything that I have seen in other places. Never have I experienced a culture with such deep reverence for the divine, such humility, and such dignity. I was completely amazed by the depth of the settledness and maturity that have been cultured in her people over thousands of years. These incredibly kind-hearted, loving people welcomed me so warmly and cared for me so generously. And in some ways, I felt very much at home in India because the consciousness felt very familiar to me, as if I remembered it from a time gone by. And I’m missing it now that I’m back in the U.S. In other ways though, India felt very, very strange and foreign to me. As a Westerner, I am very much accustomed to my comforts, to so many little luxuries, many of which I didn’t even realize were luxuries until I went to India. Reflecting on all of this, I can hardly even begin to describe the all of the mind-warping juxtapositions and all the ways that India twisted and turned and transformed my awareness. For instance, there is such filth throughout so much of India on the physical level, and yet there is such purity in the minds and consciousness of the people. I find it interesting how in the West we spend so much time keeping things clean, even sterile. In India, you see it ALL. And actually, this is a much more accurate reflection of our inner worlds. 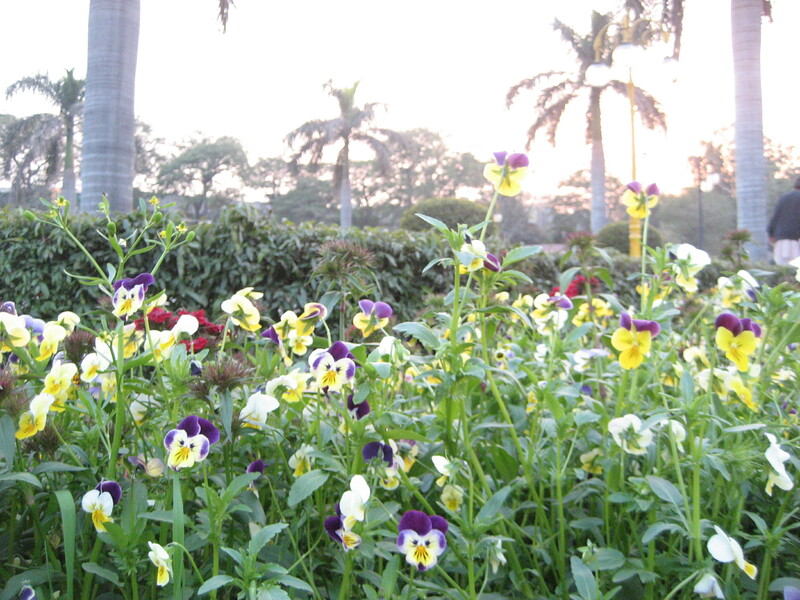 There is urine and excrement on the sidewalks, right beside the beautiful parks filled with flowers and trees. There are poverty-stricken people begging for food right outside such grand, majestic temples. And there is the greatest contrast imaginable in the sights, sounds, smells, and feelings of India, just like in our inner worlds if we are willing to really pay attention. If I had to name just one thing that India taught me, it would be TRUST. Nature is infinitely loving and supportive, and she always provides us with everything that we need in every moment. Everything is always conspiring in our favor. There is not a single ounce of creation that is not here to support us in realizing our dreams and waking up to the truth of who we really are. We cannot, however, rely upon our (limited) perspectives to perceive this. It takes great courage, faith, and trust. You are blessed. Remember this. Every moment is an opportunity to trust, to surrender, to embrace life, and to give thanks for all that you have been given. This life is a precious gift, and I feel unbelievably lucky to share it with you. Thank you for being such an incredible a part of my journey. Thank you for your courage, your wisdom, your support, and your love. It has been an honor and a joy to share this experience with you. And I look forward to continuing to share my heart with you through my words, through my music, and so much more. I Love You Very Much. God Bless You. I am REALLY feeling ready to get back to the States. I have been in Delhi for about a week now sorting out how I can get myself home as soon as possible. I went to the airport feeling SO excited to finally be headed home after this great big huge adventure here in India. These past few days I have been feeling SO supremely grateful now that I am through the toughest part of this journey and am having all these realizations about the innumerable gifts and blessings of it all….feeling REALLY blissed out…so it kind of felt like I ran face first into a brick wall at top speed when at about 11 pm they informed me that the flight was full. I turned and walked away from the counter feeling pretty disappointed. I reluctantly called a driver to pick me up and bring me back to the Maharishi Ayurveda Hospital (way on the other side of the city) where I have been staying here in Delhi. Honesty it was kind of an awful experience spending six hours in all doing all of this only to find myself right back at the Maharishi Hospital where I began before leaving for the airport this evening! Of course, everything is always unfolding as it should, and surely this will all work out and I’ll get back to the States, but right now I’m feeling VERY tired and not sure how to get home. It’s after 3 am and I’m looking at flights, which all cost a minimum of about $1,200 – $1,400 U.S. which is definitely out of my price range at the moment. I knew they were going to be quite a bit, which is why I was looking for another option, but I really just don’t think that flying standby is going to be the way to go. At the airport they said that tomorrow’s standby situation looks even worse that tonight’s, and I don’t have it in me to go through that again. I just really want to have a proper flight because at this point because I’m SO ready to just get home. It’s time! I want to be back and rested SOON so I can celebrate my BIRTHDAY on Saturday with my loved ones in Fairfield and begin my new year in the best way possible!!! Serendipitously, my friend David sent me this short video today which I watched just now in amazement. YES, it’s time now for the “RETURN” part of this journey. It’s after 4 am now, so I’m going to get some sleep, dreaming and praying for a miracle so that I can get home. All love and prayers extremely grateful in this moment. When I wrote to my friend Linda to tell her what was going on, she wrote back a lovely email which concluded, “Know that Nature is not going to abandon you at this stage. She’s orchestrated your life so magnificently until now, why should she stop?” Surely this is true. So many realizations are flooding my consciousness right now. I am in the process of integrating the multitude of lessons from my time here in India as I prepare to return to the U.S.
As it turns out, all of the health concerns that I have been dealing with are MUCH less serious than I had thought they were. Feeling SO grateful, still SO humbled by all of this, I was crying tears of gratitude on my way back from the dentist’s office just now. Looking at my teeth over the course of the past few weeks, it appeared as if the enamel on some of the front teeth was getting eaten away. I even thought of writing a blog post called “India is Eating My Teeth” but then thought better of it. Then about a week ago I noticed some spots on some of the back molars that looked like the beginning of cavities forming, and so (being so far from my dentist in the States right now) have been feeling quite stressed about this. Then yesterday I met a warm, wonderful Irish woman named Eileen who is staying here at the clinic as well. My friend Martyn told me about her because she is a dentist in England, and so he thought that she might be willing to take a look at my teeth. She did take a look and immediately exclaimed in her gorgeous Irish accent, “Oh, what LOVELY teeth!! !” Which was pretty much the best thing that I could have possibly heard in that moment, given how stressed out I have been feeling. She said that actually the enamel was fine. It was just some staining (which I’m guessing must have been due to the fact that I’m eating different foods than usual here in India) that was making it appear as if the enamel was worn out. Oh. My. GOODNESS. What a RELIEF!!! She suggested that I still keep my dentist appointment and just have them clean the teeth. She said that she really didn’t recommend having work done by a dentist that I don’t completely know and trust because one of the worst things that one can do for their teeth is to have some less than optimal work done…this can cause myriad problems later on. So this felt like the best solution possible. SO much better and simpler than going to Bangkok. So today I went to a wonderful dentist, Dr. Taroon Giroti, who came well recommended by some Westerners living here in India, and he confirmed what Eileen had told me yesterday. He polished them up, was so kind and gentle, and said that yes, the enamel on most of my teeth is a bit thin, but really my teeth look okay. I have never felt such BLISS and THANKFULNESS in running my tongue over the smooth, healthy enamel of my teeth. I will still go to my dentist back home and have him look at the molars, but Dr. Giroti said that it’s definitely not an emergency like I had thought that it was. Also, I saw a dermatologist a couple of days ago at a REALLY nice hospital here in Delhi. I had an incredibly positive experience, and was amazed when they charged me only 700 rupees for the consultation, which is the equivalent of about $14 U.S. I showed him the rash, and he said that it’s nothing but a simple, innocent allergic reaction. He prescribed Allegra and some allergy creams and said that it should likely be gone within a week. Never have I been so grateful to just take some basic allopathic medicine. It’s been a couple of days since I saw him, and it does seem to be getting better. He said that the red spots all over my nose were actually mosquito bites. This seemed a little odd because they are literally only on my nose, but they are going away now, so whatever they were, they are fading and I am glad. 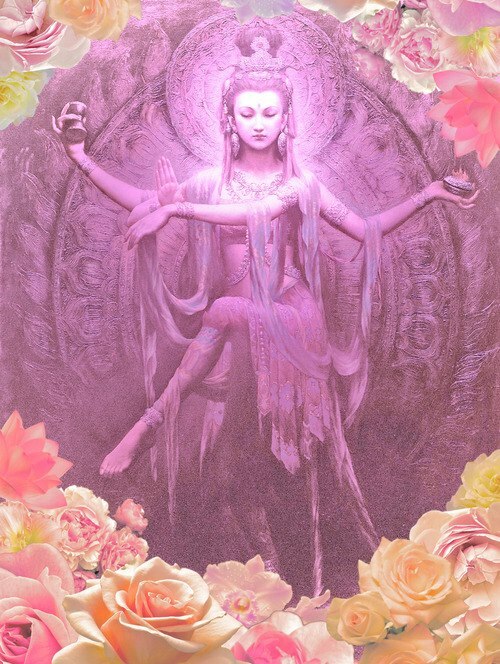 This is MAYA, the illusion in which we all dwell until reaching full enlightenment. And even THEN, we still (most likely, as far as I can tell) will not have perfect, omnipotent perception like God does. This whole world, this relative existence, is illusory, and my teeth were a brilliant metaphor for this. From my limited (read: ignorant) perspective, my teeth looked to me as if something were very, very wrong. And yet, this was not the truth. This is not to say that sometimes there isn’t something that is actually wrong with someone’s teeth that needs to be corrected. Rather, I am simply sharing this insight that I had about how limited our human perspectives are. Only God truly knows the truth and IS the truth. Only the deepest layer of existence, Brahman, is real. And so we go through our lives coming to realize this more and more fully. Nature presents us with countless situations and learning lessons that point us back toward the truth, back toward the Self, back to what’s real. And this is God and God alone. So back to the story of my teeth and my skin. There is another important point that I must address here. Quite a few friends and family members have been following my journey here in India, and many have reached out to me with great concern. I feel so supported and loved, and appreciate everyone’s desires for my well-being, safety, and happiness. And I am sorry if I have caused anxiety for anyone following my story. At lunch I was talking with my friend Janet. She asked how I was doing and I told her, “I’m feeling concerned about people being concerned about me.” With a little laugh, she told me how funny that sounded to her, and she told me that actually, that is none of my business. She said that what I’m doing is just being me, just being authentic, and that I mustn’t worry about people’s reactions to this. And I felt the truth in her words. My intention was (of course!) never to alarm or frighten anyone, but rather to share openly about my experience and thus share my journey with you. In sharing so openly about my time here in India, I’m aware that some people have felt great concern for my well-being. I have friends who literally cringe at some of the intimately personal things that I share about my life on Facebook and on my blog. And sometimes I have wondered if I’m “over-sharing.” Maybe I should keep these things to myself, rather than putting them out there for anyone and everyone to read about. I remember hearing an interview with Lady Gaga where she said, “Always be private in public.” These words have really stayed with me, and I have been contemplating them ever since I heard her speak them. This is because she is an amazing woman whom I respect, and because this is so FAR from MY way of being in the world. But what I have come to realize is that this is HER path. Yes, some things must be kept private, of course! And also, we all have our own unique paths and so each person has their own degree of comfortabilty and desire to share their story with others. And yet, for my individual journey, I keep coming back to the same strong intuitions about why I feel compelled to share so freely. With the advent of Facebook, blogs, and other social media platforms, we are all much more wrapped up in the stories and lives of many more people than ever before in human history (as far as we know). And many (or most) people are using these social media platforms to paint the prettiest possible pictures of their lives. Choosing the nicest, most flattering photos of themselves, their families and friends, and their travels…posting updates about the amazing experiences they are having…and so forth. And this is great! It’s WONDERFUL to share the good news, to focus on the parts that are most commonly accepted as beautiful, and to put forth the image of oneself that one chooses to portray. Personally, I am compelled to share more of the wholeness and full spectrum of my experience. Not that this means that I feel to share every last detail, and SURELY there are parts of my life that I would never broadcast to the whole world. What this does mean is that I am inspired to post photos of my smiles as well as my tears, my triumphs as well as my tribulations, and my joys as well as my sorrows. For various reasons, something in me loves to show people my weaknesses along with my strengths. Again, this is not better nor worse than anything else, it’s just the way that I personally choose to express and share myself. So why do I share all that I do? What it really comes down to is this. It simply feels like the thing to do. It feels right. It feels dharmic. I am compelled to share like this, and so I do. And actually, as I have thought about it, I have come to feel that there is great value in this. I have had the experience of reading through people’s Facebook posts and thinking, “God, am I the only one going through hell right now? Am I the only one who isn’t just having an absolutely AMAZING time all the time?” Of course, the rational part of me knows that this isn’t true. I know that we ALL have our “stuff.” But sometimes in the lower moments when there is less clarity, seeing all these happy, happy posts and seeing everyone else looking like they are doing great when I feel awful just isn’t as nourishing as talking with someone else who is also having a hard time, or who has also gone through a similar challenging situation. This is not “misery loves company.” This is simply part of the human experience. As human beings, we share our stories, and by doing so we can experience some affirmation, consolation, and validation in knowing that we are not alone in experiencing ALL of this, the full spectrum of LIFE. The other night at dinner I was talking about this with my new friend Guy who I met here at the clinic. He was talking about how most people only really show the parts of themselves that they consider to be acceptable. Their demons are there, too, of course. The demons are on a leash, lurking in the shadows. And there is a strong tendency for people to do just about anything in order to keep others from seeing these negative aspects of themselves. But what if we were all a little more honest about how we are REALLY doing and how we are REALLY feeling? Perhaps it would be a bit of a RELIEF for most people to feel like they could REALLY be themselves and be COMPLETELY accepted for the wholeness that they ARE. Perhaps this kind of transparency could help to create more authentic, intimate interpersonal connections, and thus deeper enjoyment and fulfillment. My friend Janet arrived here in India yesterday. And so since it was the first time I’ve seen her since I left the States, she was asking me about my experience here. I told her that there have been a lot of blessings and also a lot of challenges. And right away, with a mischievous twinkle in her eye and a playful smile on her gorgeous face, she asked me, “So, which part wasn’t the blessings?” Immediately I hit the palm of my hand on the table with great appreciation and delight. Just like this, the shift in perception is given. Suddenly we can see more clearly than we had been able to see just one moment before. This is God. This is grace. There is more to come; there always is. The river keeps flowing forward. And only in the present moment can we experience the full value of life. We must be brave. We must be strong. We must have the audacity to look life right in the face and fully accept things as they are. This is not to say that we can’t work to shift and change things as we feel to, but right here and right now is what we have. And radical acceptance is the key to freedom. I know that I have a long way to go before I can truly say that I am living up to these words, but I do know that I am doing my best. And I know that you are too.